Assist to Medical: I-25 and Highway 56, a Deputy responded to a report of a vehicle pulled over with a man inside possibly having a heart attack. The man was transported by ambulance to the hospital. Assist to Medical: 800 block of Longview, Deputy responded to assist with a woman acting irrationally. Family Problems: 900 block of 3rd Street, a resident observed a woman chasing after a young male yelling at him. Upon contact it was determined the woman was yelling at a 10-year-old child for throwing a toy hitting another child. Vehicle Trespasses: Navajo and Arapahoe, 5 unlocked vehicles were entered and some items taken. Several of the items taken were later located along the road side. Recovered Property: 328 Massachusetts, a driver’s license found in Longmont was turned into the town hall. The license was returned to its rightful owner. This was not related to the vehicle trespasses. Suspicious Circumstances: 600 block of Mountain Avenue, The Berthoud Water Department advised that someone had removed the meter in front of this address and replaced it with a straight pipe. Runaway: 100 block of 2nd Street, a 14-year-old boy ran away from home “again”. Check Fraud: 500 block of 3rd Street, Deputy is investigating a check fraud, reference a drill purchase and a closed account. Juvenile Problems/Assault/Harassment: 200 block of 2nd Street, an 8-year-old girl was playing with another kid in the yard. The girl said that a boy a 9-year-old boy was in the bed of a pickup truck when he said that he was going to play Spiderman. She said that the boy then spit on her shirt. She then spit on him back which made the boy mad so he retaliated by spitting in her hair. The girl tried to runaway but stopped to take a deep breath. When she turned around, the boy pushed her to the ground. DUI: 5th Street and Indiana Avenue, a 63-year-old Longmont man was cut off from drinking at the Berthoud Day celebration. He left the park but decided to drive home which was a mistake on his part. But as accommodating as we are, he was provided a place to sleep it off. Harassment / Menacing: 100 block of Mountain Avenue, a resident called to report that on Saturday evening he received threatening text messages from his brother. The brother attempted to cool things down by sending text messages the next morning saying his threats were an April fool’s day joke. The summons he received was not an April fool’s joke. Theft: 500 block of Mountain Avenue, a resident reported that someone stole ornate metal lattice from in front of her store over the weekend. Restraining Order Violation: 200 block of 2nd Street, a mother reported that her adult son was inside her residence when he is restrained from that address. He was contacted and booked. Welfare Check: 200 block of Mountain Avenue, a mother called and stated that her daughter was at this location and homeless and requested deputies to check on her. Deputy transported her to a safe location. Animal Problem: 1500 Chokeberry Street, 2 dogs wandered into the garage at this address. Deputy was able to locate owners and the dogs were returned. Family Problems: 500 block of S. 9th Street, a mother reported that her adult daughter was angry and yelling at everyone and refused to leave. It was agreed to that her father would transport her to a friend’s house in Loveland. Juvenile problem: 100 block of Keep Circle, a foster parent reported that a 13-year-old girl that is living there was being very mean to everyone and left on foot. Deputy located the girl and the case worker requested the girl be transported to another facility in Ft. Collins. Fireworks Complaint: 700 block of 5th Street, aerial fireworks were reported being set off at this location. And so it begins. Found License Plate: 1700 block of Exeter Street, a deputy was flagged down by a jogger who found a license plate alongside CR8. Neighbor Problems: 400 block of Bimson Avenue, neighbors got into a heated exchange over who was allowed to walk on the grass in the three building quad-plex. Attempted to mediate the issue between the two families. Warrant Arrest: 200 block of 2nd Street, a 27-year-old man was contacted at this location and arrested for an outstanding warrant. Criminal Mischief: 200 block of 2nd Street, a resident reported that someone damaged her golf cart’s windshield. Business Assist: 800 block of Franklin Avenue, staff reported a female patient was grabbed by the hair by a male patient after he found her in his room yesterday. Missing Persons: Several deputies and investigators investigated a missing person’s case involving two Berthoud 18-year-olds. Our thoughts and prayers are with the families, God bless you all. Harassment: 900 block of 7th Street, a resident reported that she is being harassed by her son’s ex-girlfriend. Identity Theft: 200 block of 2nd Street, a resident reported someone used her debit card and charged over $700 before the card was declined. Missing Person: 800 block of Franklin Avenue, a 70-year-old man was reported by staff as missing. He was found by his daughter and returned to the facility. Criminal Mischief: 700 block of 14th Street, a resident reported that someone had damaged the bracket holding her mailbox. Harassment / Warrant Arrest: 100 block of Bunyan Avenue, a resident reported that he was pushed and grabbed by another Berthoud resident who also has a misdemeanor warrant for his arrest. Warrant Arrest: 100 block of Quandary Avenue, a 32-year-old man was contacted at this residence and arrested on a Larimer County Misdemeanor warrant for Failure to comply. Assist to Loveland: 100 block of Quandary Avenue, a 27-year-old woman was contacted at this address and transported to Loveland Police Department at their request. Warrant Arrest: 200 block of W. CR10E, a 15-year-old boy was arrested on a felony warrant. Juvenile Problem: 600 block of Bristlecone Court: a mother called to report that an 11-year-old boy has been calling her daughter at the late hours of the night over the last month and sometimes leaving inappropriate messages. Our thoughts and prayers are with the victims, their family and friends and also to all of the emergency responders in Orlando, Florida. Runaway Juvenile: 100 block of S 2nd St, a 14-year-old boy was reported as a runaway by his mother. Theft: 300 block of Victoria Street, a resident reported her Nishiki mountain bike was stolen from her front yard sometime over the weekend. Possession of Schedule II / Possession of Schedule II for Distribution / Possession of Drug Paraphernalia / Criminal Impersonation / Warrant: I-25 and Hwy 56, two 30-year-old Ft Collins men were contacted on a traffic stop. One of the men had a warrant out of LCSO and initially provided a false name and date of birth. A K-9 deputy arrived on scene, and were able to locate drugs in the vehicle, including 29.4 grams of methamphetamine. There was also a digital scale and several small plastic baggies. Chronic Runaway Juvenile: 100 block of S 2nd Street, our weekly 14-year-old runaway was reported by his mother for the 4th time in 4 days. Vehicle Crash with Injury: Hwy 287 and CR17, the lights at this intersection were flashing due to an unknown issue. An 81-year-old Longmont man entered the intersection at a high rate of speed and T-boned a truck driven by 40-year-old Ft Collins woman. Follow-up on Missing Juvenile: Longmont PD contacted our 14-year-old runaway and returned him to a parent. The boy was also charged by Longmont PD for theft. Suspicious Circumstances: 900 block of Kansas Avenue, a resident reported that on three separate occasions vehicles have slowed down in front of his residence and appear to be taking pictures. Vehicles were described as a late 90s white Cadillac Deville and a red Dodge Dually pickup. Theft: 300 block of Michigan Avenue, a resident called to report her kids Shemano Mountain Bicycle was stolen from in front of her garage. Civil Matter: 100 block of E Turner Avenue, a resident reported a credit card was given to his son and son’s girlfriend, more than 4 years ago to use. The girlfriend racked up a high balance and will not pay on balance. Missing Adult: 300 block of Cheyenne Drive, a mother reported her 26-year-old son suffers from medical issues and wondered away from the house today. Mom found him after a few hours walking on 10th Street. Burglary: 1500 block of N CR 17, a construction worker reported sometime during the night the sheds at this construction site were broken into and tools were taken. Family Problems: 1100 block of 4th Street, a man and woman were involved in a disturbance. The woman called a friend who arrived and picked her up. Burglary / Theft / Criminal Mischief: 300 block of Mountain Avenue, a resident reported that someone had pried open the backdoor to her business. There was damage to the strike plate and one item was stolen. Found Property: 700 block of 7th Street, a deputy found a $20.00 bill between the side walk and the road. Logged into evidence. Runaway (Chronic): 100 block of S. 2nd Street, a mother called to report that her 14-year-old son has been missing for two days. Vehicle Crash / Following Too Close: Mountain Avenue and 4th Street, a 54-year-old Boulder woman failed to come to a complete stop and struck a 70-year-old Ft Collins man’s vehicle causing minor damage. Impersonating a Peace Officer/Burglary / 2nd Degree Criminal Tampering: 200 block of 1st Street, a resident called and stated that two LCSO Deputies came to her house to look for a man. It was determined that no deputies had been to her house. 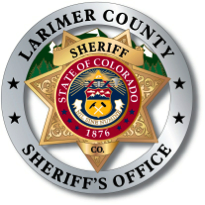 The two unknown adult white male suspects were described as wearing a black uniform with Larimer County Sheriff patches on the sleeves and a badge affixed to their shirt. The two males entered the home and ransacked it. Investigations division was notified and are looking into the case. When in doubt ask us for identification. Burglary: 1000 block of 6th Street, a resident reported someone entered her home and took 3 years of financial documents. Suspect might be a serial accountant. Suspicious Circumstances / Criminal Mischief / Possession of Drug Paraphernalia: 800 block of Spartan Avenue, a 19-year-old woman intentionally drove her vehicle into the west wall of Berthoud High School. She was physically uninjured, but was transported by ambulance to Medical Center of the Rockies for a mental health hold. Assault / Identity Theft: Cheyenne Drive, a 24-year-old man attacked his 21-year-old brother after being confronted by his brother about stealing and using his brother’s debit card. 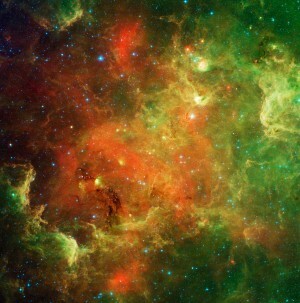 The brother suffered two fractured orbital sockets and a broken nose from the attack. Vehicle Crash / Hit & Run: Mountain Avenue & 6th Street, a 28-year-old woman hit the rear of another vehicle and fled the scene. If it weren’t bad luck she’d have no luck at all because the woman’s license plate detached from her vehicle and attached onto the victim’s vehicle. The woman later returned to the scene and was issued a summons. Vehicle Trespass: Elm Drive: a 19-year-old woman reported that someone unlawful entered her locked vehicle, moved the seat and mirror, but did not steal or damage anything. Burglary / Theft: 1400 block of 4th Street, a resident reported someone is getting into her residence and she has discovered items missing and also items that are not hers. Site contents copyright © 2019 Recorder Online	except as noted. All rights reserved. | 86 queries in 1.197 seconds.